This renovated farm house, situated in the heart of an olive grove and with around 5 hectares of surrounding land, offers a rare lifestyle in an exceptional environment. A 6.5 x 12.5m swimming pool enhances the property as does a farm building of approx. 100m². The main residence comprises two apartments of 130m² and 87m² with 5 and 3 rooms respectively. In addition are 5 guest houses (31m², 37m², 56m², 55m² and 45m²) each with independent access and a private exterior. The land totals 6.3 hectares, 5.15 of which adjoin the property. Geothermic floor heating. Agency fees to be paid by the vendor. 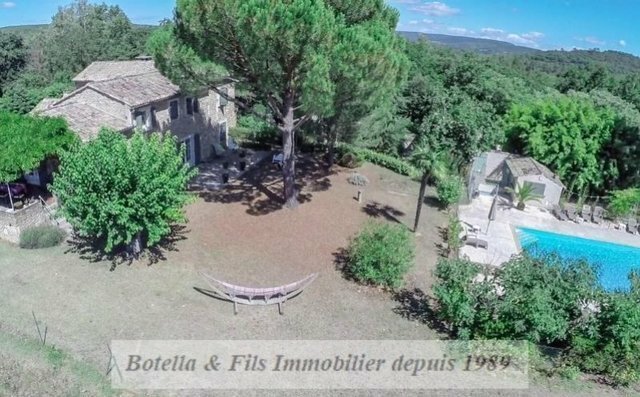 A property exclusively selected by Botella and Sons since 1989. Ref: 10370.